Tip: The vacuum pipe to the purge valve is behind the left side panel. 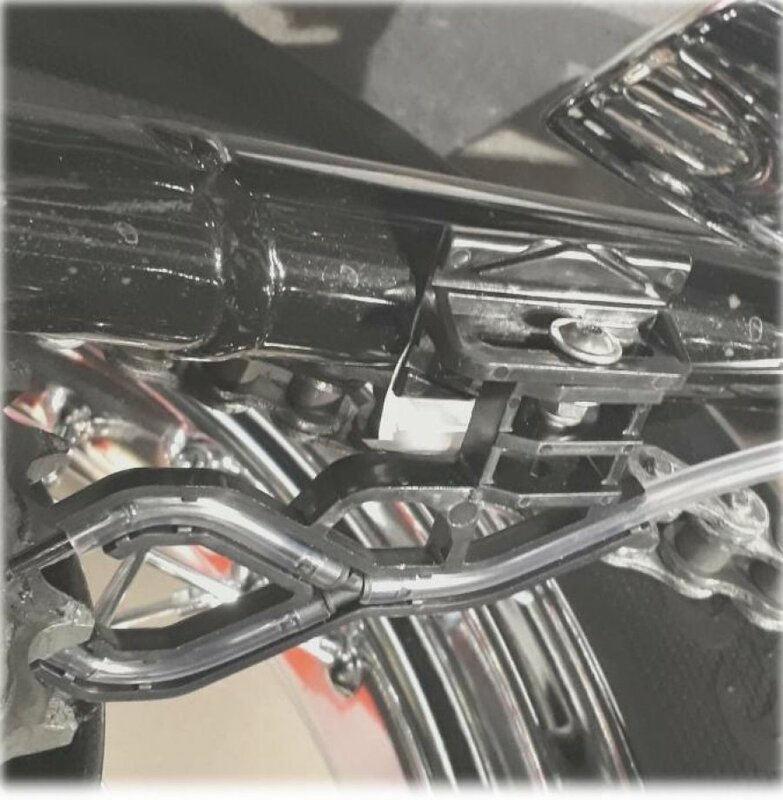 Tip: The RMV must go on the left side, as the chain guard will contact it on the right side. 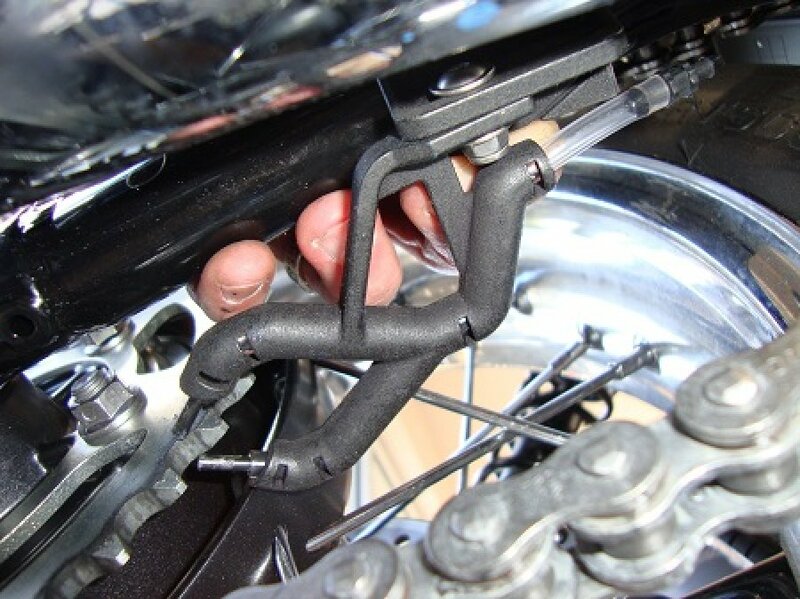 Secure the dispenser plate on the rear spindle and bend it until tip of injector lightly touches the sprocket face. Tip: The REP must go on the left side, as the chain guard will contact it on the right side.